In Fact, Broken Links also referred as Dead or Bad links in your website or blog. There are basically that urls that return a 404 Page error. They can destroy a user experience, especially if they link to an important download or file. Hence you must fix it to save your site from Google Panda and to keep your visitors on the track always. Therefore today I must tell you how to find broken links and how to fix it in effective way just below. Have a look!!! Why having these broken weblinks so bad? Get negative impact on your website’s ratings with major Search Engines like Google, Yahoo and Bing. 1. For WordPress Users you must install a plugin named as broken Link Checker to find broken links at all. This plugin will check your posts, comments and other content for broken links and missing images, and notify you if any are found. 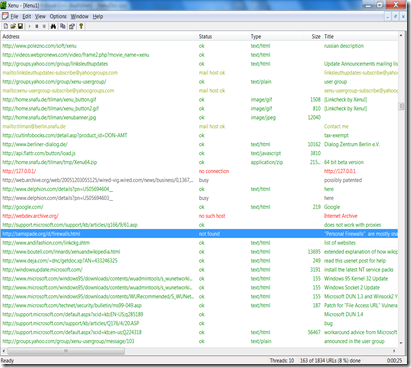 Another free tool we recommend is Xenu Link Sleuth. After you’ve installed the Xenu software and opened the tool, go to File – Check URL, and enter your website’s domain. Uncheck the box named “check external links”, and click “OK” to run the analysis. Note that if it’s the first time you’ve used Xenu, it can take a little while to complete the report. So be patient. 4. You can also use Google webmaster Tools for finding broken links under Health>> Crawl errors, Now click on Not Found button to see all bad links. That’s it! Now once you found all the broken links to your website, just replace original links with that and get rid of 404 errors. Or you can also redirect dead links to new working links using Redirection. Enjoy and Don’t forgot to bookmark this article!